Detektor recently met up with Simon Nash, senior marketing manager at Sony Europe, to discuss the latest advancements in video surveillance technology and where the market is heading in general. High definition surveillance and ONVIF played a dominant part in the interview. Sony seems very active in developing HD-surveillance cameras, is this type of camera suited to any use or just for high-end applications? It's important to note that HD is a technology that is available from entry level all the way up to high end applications. In Sony's range we have products for all those different types of requirements. Video surveillance technology seems to be developing at a quite rapid pace; do you think that this eventually will lead to more criminals getting caught? I think that the increased quality of video surveillance is enabling even better identification of criminals. If I look back ten or fifteen years, the image quality was really not that strong. Now with the advancement of HD, recognition has become much more efficient. This should by all means help fight crime. What are the concrete results of the ONVIF initiative so far? So far we have seen quite a lot of products being released to the market with ONVIF-compatibility. Sony is proud to be a driving force in the development of ONVIFcompatible products, but it is of course based on that our fellow member partners keep a similar pace. All of the cameras that we are releasing are ONVIF-compliant. Have the end users benefitted in any way from the ONVI initiative? I think that customers will be getting something that they have been looking for, for a very long time, namely true interoperability of video security products. The customers have known for a long time that, among network video products, all products on the market have used the same network connector. This has created big expectations in terms of electronic interoperability of network video products. They expected those products to be compatible from the start. Before ONVIF, this was not an option. The customer is really the winner here, they now have the option to choose a Sony HD camera, a standard definition camera from Axis and to connect those cameras to a Bosch recorder, and this is possible thanks to ONVIF. 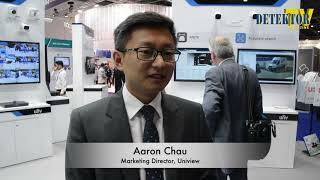 What are your expectations for ONVIF going forward? We hope that the alliance will continue to expand in size and draw new members along with an increasing general acceptance of the ONVIF standardisation work. So in short, I hope for an even larger member circle, but also that ONVIF can expand into other areas of security as well. Can you mention any such area? Not specifically, but hypothetically it should be possible to connect access control to intruder alarm systems, both of which are IP-based. 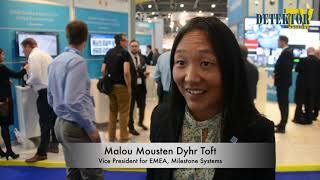 So video standardisation is the first goal of ONVIF, but nothing says that other security systems won't be able to be part of the ONVIF standardisation in the future. When will Sony drop the analogue cameras? This is a very common question. As you know, we have two sides to our business - the IP side and the analogue CCTV side. Our heritage in analogue goes a long way, and it is this heritage that has put us in a position as the world's best manufacturer of image devices. Currently, we have no plans to discontinue any analogue product; it still represents a significant part of our business. How do you see at the skepticism sometimes shown towards IP in the video surveillance market? With the introduction of new technology, there will always be people that are sceptical. After all, there are still people that believe vinyl-records to be better than CDs. That type of technologically conservative people also tend to be the most vocal ones, it's our job to convince them that IP is the way forward. As an example, the current level of resolution that is possible with analogue is limited, it's simply not possible to go beyond a certain point. With IP, there are no such limits, and the trend is very clearly going towards higher and higher definition. We have seen this trend in the consumer market, the broadcast market and now also in the security market. What are Sony's plans for the nearest future? We will continue to invest in research and development, the majority of that investment going into the IP-side of our business. We are really committed to creating an IP range of HD products for all applications. Later this year, you will see more HD-cameras coming from Sony. We will also be releasing some new software this year. I'm very excited about this year; I believe it's going to be a strong year for Sony in the video security industry. We need to continue the promotion of HD-technology in the video security industry. Our challenge lies in that we need to take our time to visit many customer events and demonstrate our products and show the capabilities of HD. Almost all customers I speak with are very clear about the benefits of IP, now we have to reach the same level for HD. What is your view on H.264 compression? Almost four years ago, Sony was the first company to introduce H.264. I'm very proud to be able to say that our newly launched camera SNC-CH240 is one of the few cameras in the industry that is capable of delivering full HD 1080 P pictures with 30 frames per second with H.264 compression. So our continued commitment to H.264 is very clear. When will you release a camera in 3D? 3D is a really exciting new technology that is beginning to make its way to the consumer market right now. Some of the algorithms and the technology used by 3D-technology have the potential to spin off to applications in video security. I think we will see more applications in the future such as people tracking, so if a person is committing some kind of crime, then it may be possible to track that person back and identify where he entered the building and what his route was and so on. These types of applications should become more accurate by the use of 3D. We always try to keep up with the requirements of the customers of today, but also with what they are expecting for the future. Regarding 3D, we will have to wait and see how that develops, but I'm sure that 3D will have many uses in the future.